Rabbi Avraham Yitzchak Kiss is a restaurant manager and caterer. He was interviewed in the My Encounter Studio in January of 2016. I was born in 1950 in Brownsville, which adjoins Crown Heights in Brooklyn. 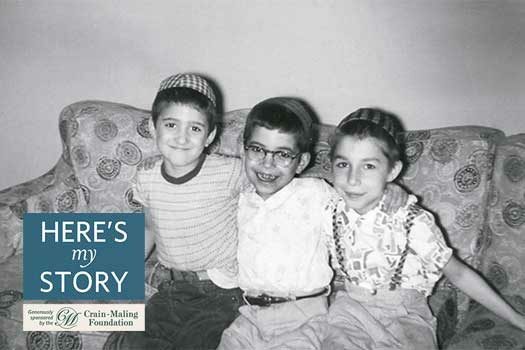 Making ends meet was difficult for my Holocaust survivor parents so from an early age, I started taking on after-school jobs to earn money for items I wanted, like a toy or candy, a bicycle or a suit. One of my jobs was delivering groceries. I’d take a baby carriage, load it up with an order, and bring it to the customer’s house. The grocer, Mr. Stillerman, would pay me a quarter, and I also got tips from the customers themselves – ten or twenty cents. Usually, at the end of the week, I’d have five dollars, which was a lot of money in the early 1960s when you could buy a suit for twenty dollars. One of Mr. Stillerman’s regular customers was Rebbetzin Chana who lived on President Street; she was the Rebbe’s mother. On one occasion, when I went there, the Rebbe himself opened the door. 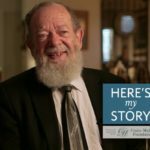 He looked at me and asked, “What do you have there?” I replied, “I have groceries… from the grocery store.” While I was bringing in the boxes – there were quite a few – I saw that the Rebbe took off his long jacket, his kapote, and began unpacking everything. He had a list of the things his mother had ordered, and after making sure it was all there, he began putting it all away. When he finished, he gave me a ten-dollar tip. I tell you I was in shock walking out of there. Nobody had ever given me such a large tip before! It was the deal of the century as far as I was concerned. It usually took me a month to earn twenty dollars! I ran home very excited to tell my mother all about it. Immediately we set off for Flamm’s, the clothing store, to buy the suit that I had been eyeing for a long time. When my father returned from work and saw the suit, he wanted to know who had won the lottery. So I told him about the Rebbe’s tip and what happened afterwards with the chasidim. Needless to say, although not being a Lubavitcher chasid himself, he was not very happy about it. 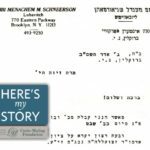 Two weeks later, my father took me to the Rebbe’s farbrengen. At the end of the holidays, the Rebbe would pour out wine from his cup – it was called kos shel brachah – and we got in line for it. When we reached the front, my father asked the Rebbe, “Do you recognize my son, Avraham Yitzchak?” The Rebbe smiled and responded, “Certainly, he delivered the groceries to my mother.” And then my father told him that being a young child, I didn’t realize the importance of the Rebbe’s gift of the ten dollars, and so I sold it for twenty on the street. I was a bit embarrassed, but the Rebbe just smiled like he found the whole thing amusing. He had an uncommon sensitivity and a remarkable memory. 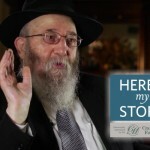 Even though I was not one of his chasidim – just the grocery boy – he remembered my name, and he took pains to make me feel special. I will never forget him.